While so many things about the telecommunications business change daily, one thing has been very consistent over the last almost five decades—TDS and its employees actively give back to the communities we serve. This means that although bringing TDS Fiber to Sun Prairie, Wis. is new for us, it’s not an exception to our philanthropic approach. For example, we’ve recently been giving to local food pantries but we’ve also reconnected with an old friend to serve a new set of kids. Tri 4 Schools is a non-profit based out of Verona, Wisconsin. They hold triathlons, mud runs and host an after school program all in the name of teaching kids to be active, eat right, and grow their confidence through achievement. The best part? The $25 dollar registration fee goes directly back to your child’s school. The funds augment the physical education program or help put healthier foods on the table during lunch hour. In six short years, Tri 4 Schools has given back nearly a quarter million dollars back to Dane County schools. TDS has been a proud sponsor since the beginning, and we’re happy to see charities like Tri 4 Schools making a difference in our communities. This year, we’re pleased to be the Presenting Sponsor of the second annual Sun Prairie Kids Triathlon being held at the Prairie Athletic Club on June 24th. There’s still some space available if your son or daughter wants to be a part of the action. Five hundred kids swim/bike/run on three courses based on age or skill level. 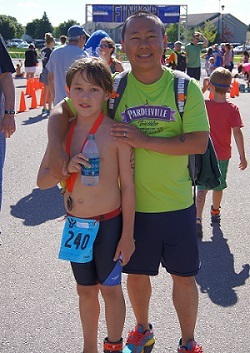 If you’d like more information or to sign your child up today, please visit the Sun Prairie Tri event page here. 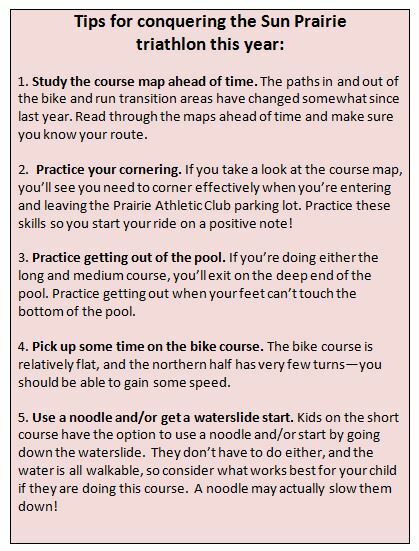 (Also read the tips below for having a successful triathlon from Katie Hensel, Executive Director of Tri 4 Schools). We could not be more pleased to begin our journey with such a growing, wonderful community. With that comes out desire to not only provide a better broadband solution to your neighborhood, but also do our best to give back and do our part in keeping Sun Prairie one of the best communities in all of the state. Best of luck to all participants on June 24th!